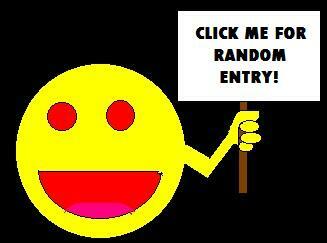 Indy Zoo Revue #3: Reluctant Monkeys « Midlife Crisis Crossover! 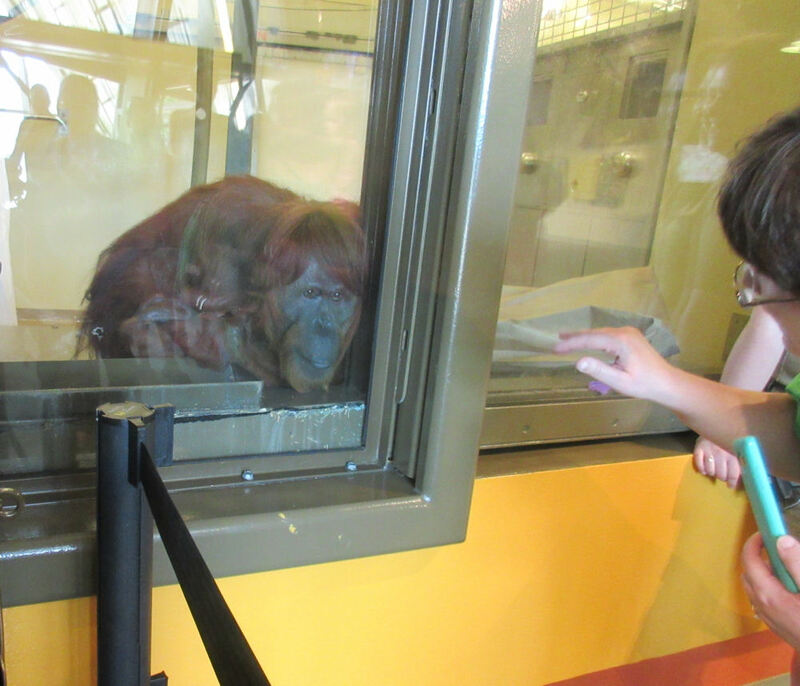 Just another humdrum work day for the new orangutan clerk at the Zootopia DMV. 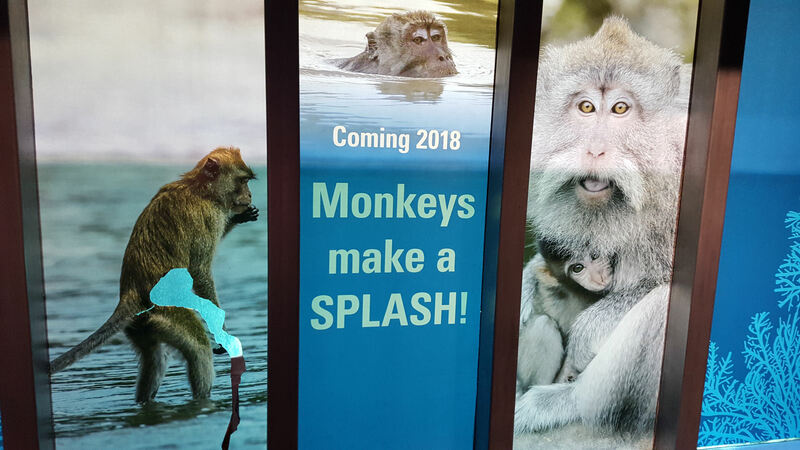 In today’s chapter: monkeys! Often the highlight of a zoo visit as they’re frolicking and gallivanting and perpetrating mischief on each other…um, we picked a bad Saturday for them, apparently. Mostly we found simians in a state of quiet solemnity, relaxing where they were and pondering their life choices. As with us humans, not every day is a party for one of nature’s most party-hearty animals. 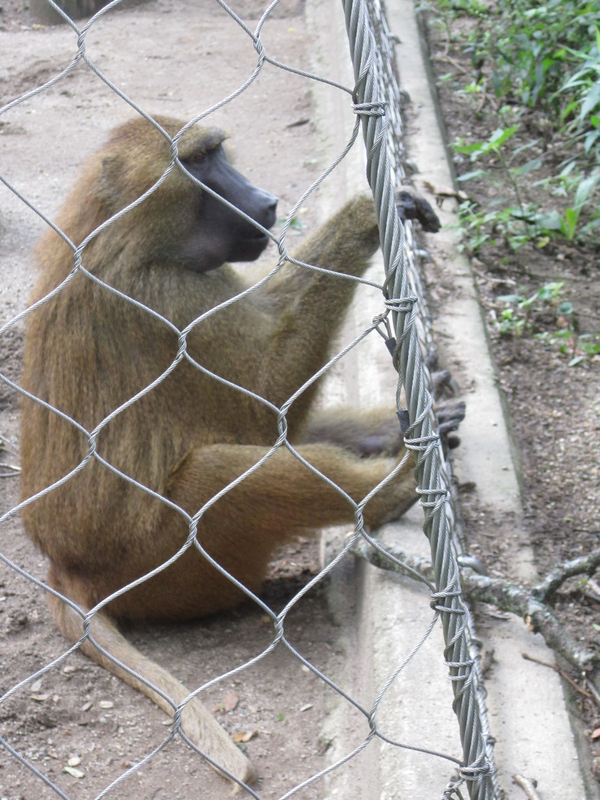 Life in the land of the Guinea baboons was quiet this morning, no leaping or swinging or fighting or dance numbers. 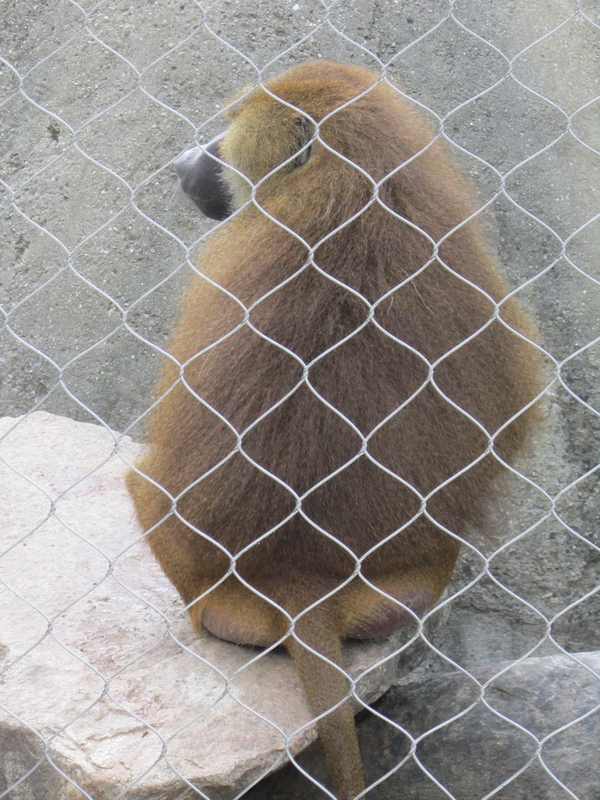 While a few other baboons paired up and hung out, this loner gazed into the distance and pondered deep philosophy in silence. 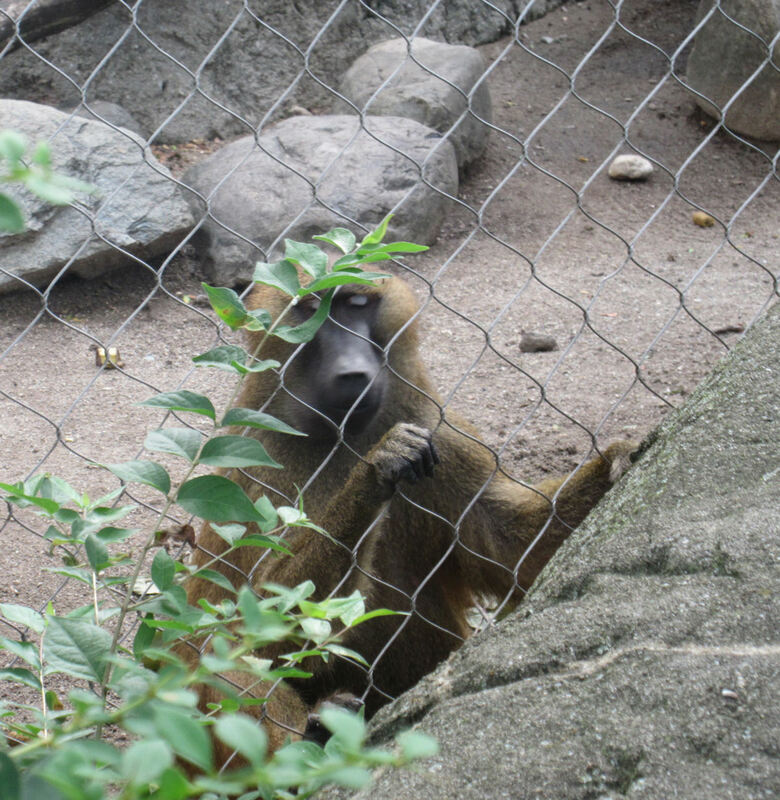 When pressed for insight into his brother’s forlorn expressions, this baboon could not be reached for comment. 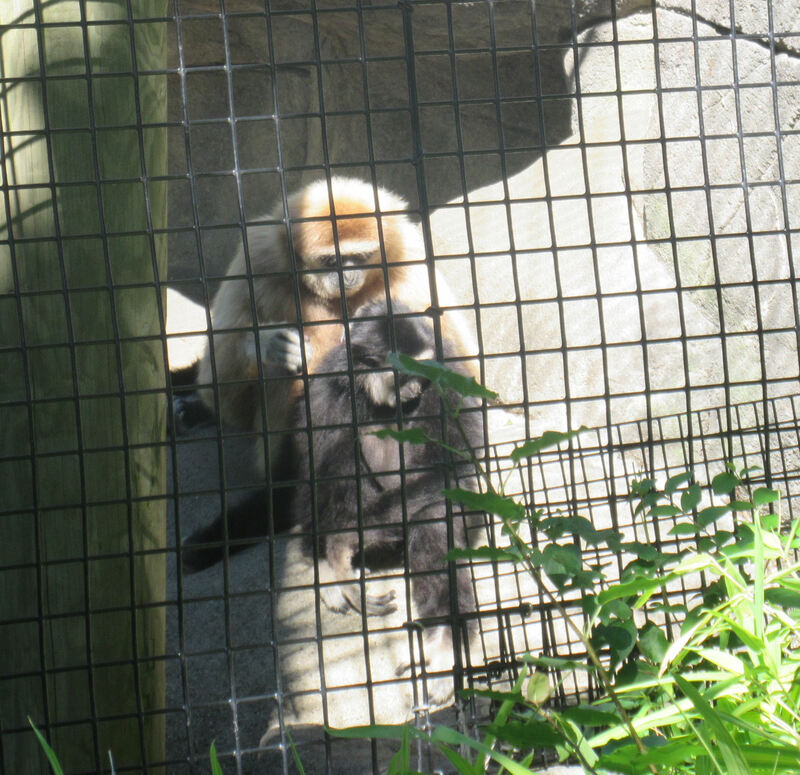 Any time is great for cleaning time according to these fussy White-Handed Gibbons. 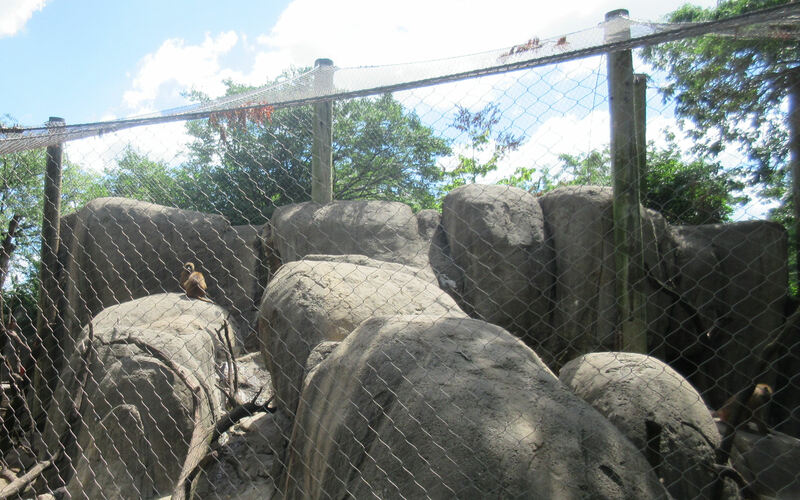 One of our zoo’s more recently added centerpieces is the massive, expensive-looking orangutan habitat. Unfortunately we arrived while maintenance men were fixing or sprucing up something in their largest play area. 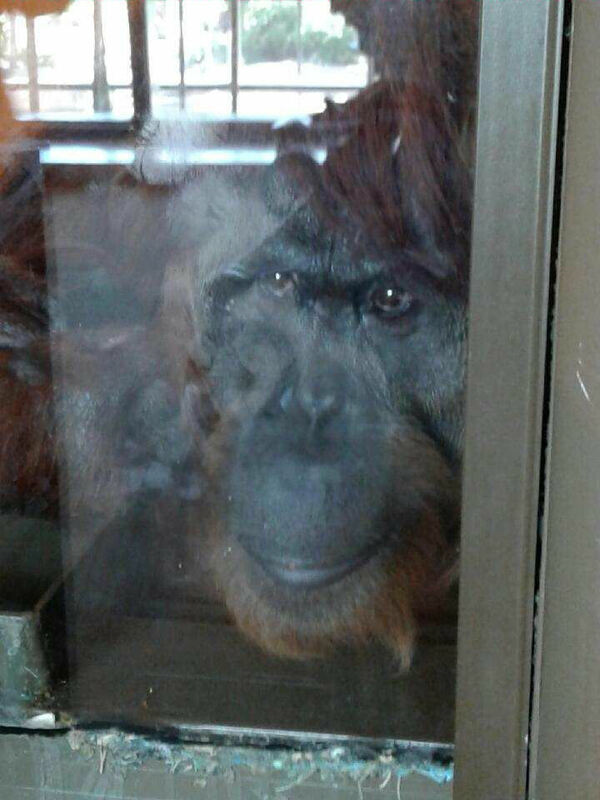 One orangutan named Katy held a sort of meet-‘n’-greet through a lab window while all the other orangutans — I’m assuming she’s not alone — were at lunch or on smoke breaks or whatever. « Indy Zoo Revue #2: The Birds!